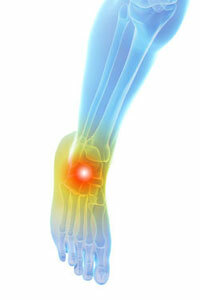 As with knee pain, there can be many causes of ankle pain. For instance, you can sprain your ankle falling down the stairs, suffer from the gradual damage that arthritis causes, suffer from the pain and swelling of gout, endure the inflammation of tendinitis, or suffer from more severe problems like infections, fractures, and nerve dysfunction. Depending upon the level of pain, basic first aid measures can alleviate the discomfort. For instance, rest, ice, elevation, and immobilization can help you to manage minor acute injuries such as sprains. Over the counter pain medication such as ibuprofen can help to reduce swelling and minimize pain. However, severe, persistent pain may require the attention of a doctor. Consultation with an experienced professional is the best way to determine the best treatment for any type of persistent ankle pain. The doctors at Pain Clinic NYC will be able to examine your ankle, determine the problem, and offer you one or more of a variety of medical treatments, including cortisone shots, physical therapy, and surgery to try to resolve the underlying cause of your pain.